On Tuesday a huge TV crew were at the junction filming scenes for a new Channel 10 series called The Wrong Girl starring Jessica Marais. They needed someone qualified to wrangle the escalators so I spent an hour and a half pushing the stop button every time the location man tapped me on the shoulder. The patience of film people! They did the same 20 seconds of scene half a dozen times with the stunt double, a couple of times with the actress, and then they did it all again from a different vantage point. They had to stop, and I had to restart the escalators, every time a train came in. I never realized how many trains come in on Platform 1 before. The customers were startled to reach the top of the escalators and find a middle-aged Metro employee hiding cross legged behind the railing, but my knees are shot and it was much easier to risk being trampled than get up and down. The film crew were lovely. They kept offering me cushions to sit on and bringing me tea. Of course I forgot to take a picture but luckily someone going past in a train did and you can see Jessica Marais and her stunt double behind the extra in the purple top. Thanks! I was completely surprised, and delighted. 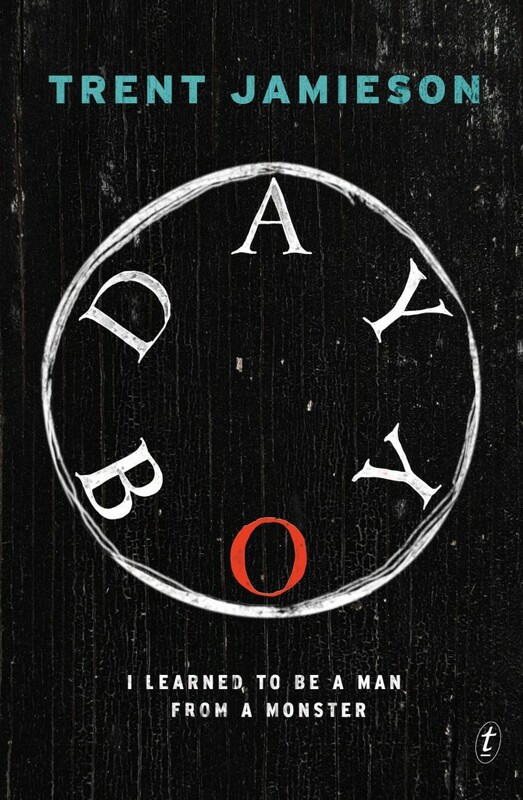 It’s about Mark – a Day Boy who works for a Vampire, running chores, protecting his master during the day. It’s his last year as a Day Boy and he must decide how he is going to enter adulthood as man or monster or something not quite either. And, things don’t go smoothly at all. I kind of pitched it as To Kill a Mockingbird meets Dracula – which is a bit cheeky, but kind of the mood that the book went along. My mum didn’t like it because it was too violent – and she’s read all my stuff. I’ve promised her the next book is very different – but you never know with books. 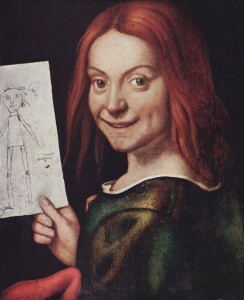 Can you pin-point an initial inspiration for the book? A very strong image I had of two boys smoking in a crypt flicking cigarettes at a coffin. I knew at once that they worked for vampires, but I wanted to know what they were like, how they had gotten so comfortable, even brazen, in their job. Everything sprang from that. A novel called the Stone Road. I’m just picking through a messy first draft and trying to work out what it’s about – which I think I know, now, but we’ll see. There are many drafts ahead. You’re clearly a fan of Lovecraft and also devoted to Brisbane where you now live. Brisbane is nothing like the gloomy windy shores of New England. Is Brisbane a gothic place in your mind? What makes it so? Funnily enough I’m not that into Lovecraft other than the cosmic horror, though I tend to play around with it a lot less seriously in my work. But I adore Brisbane. It is not a gothic place in my mind at all, in some ways, like most cities, I guess, it’s a blank slate. But that’s just an invitation to artists. Brisbane is a place that drives some great fantasy writing. 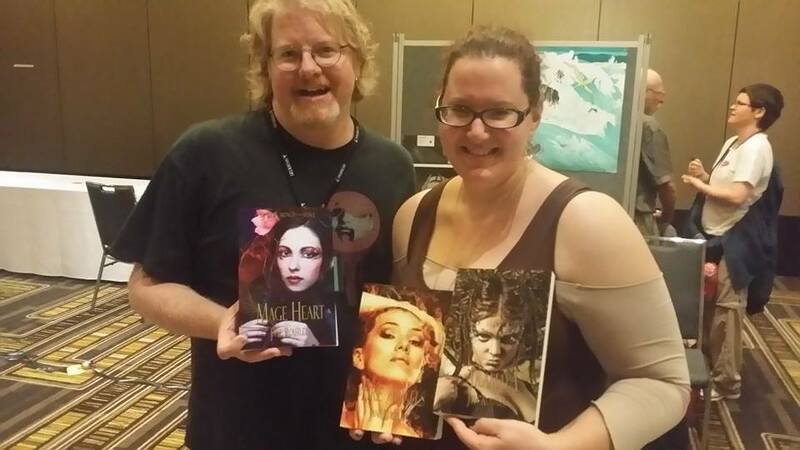 You’ll be seeing new fantasy and horror novels set in Brisbane by Angela Slatter and Gary Kemble in the next twelve months or so, and that excites me. I think it’s a city worth writing about, and you know, what makes a city great comes down to the community that lives in it, and the stories they tell. The more stories and art we have the richer the place we live in. Brisbane sings with stories, and I’m proud to be a part of that. I am slow and non-linear. And I slap scenes together and see how they work. I write thin – my early drafts are whisps – and then too thick, and then have to thin again. I don’t plan, but I do a lot of rewriting, structural and line-by-line – I don’t know if you’ve noticed here, but my punctuation is awful! I try and write every day, even if it’s only a few words. I don’t tend to do marathon sessions until I am editing and deadlines come into play. Otherwise it’s just chip, chip, chip and see what you end up with. How do you go with social media? What do you do to increase interest in your work and how much time do you spend on it? Any tips? I have gotten worse at this over the years. I’m a bit weary of social media as a platform, or maybe just weary of the sound of my voice. As a place to have fun it’s great, but as a selling tool for me, I’m not so sure. I don’t spend nearly enough time on increasing interest in my work. But I am always open to anything interesting when it comes along, promotion wise. What I do do, I try and have fun with. If you’re going to promote you need to be creative, honest, and have fun. 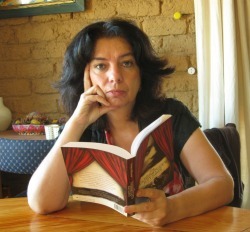 Writing books is the thing that interests me, and reading. Everything else is just waving flags (unless, you’re great at it, and there are some really wonderful self promoters out there) and hoping someone notices. I am terrible at narrowing things down to favourites. They always change, because I keep reading and listening, and you forget your favourites (well, I do, anyway), and then you encounter the work again and you remember that, yes, you listened to that album non-stop for a year. 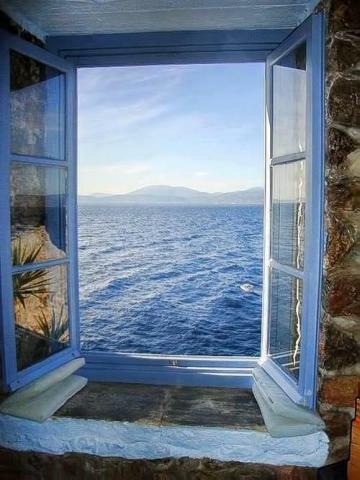 But there is a constant churn of inspiration. Currently it’s Ursula K. Le Guin’s Tombs of Atuan, N.K. Jemisin’s book The Fifth Season (which I am reading at the moment), and Cormac McCarthy’s Blood Meridian. All of which are feeding into the new book whether I want them to or not. Clan Destine Press – My Publishers – are having a 50% off everything book sale. 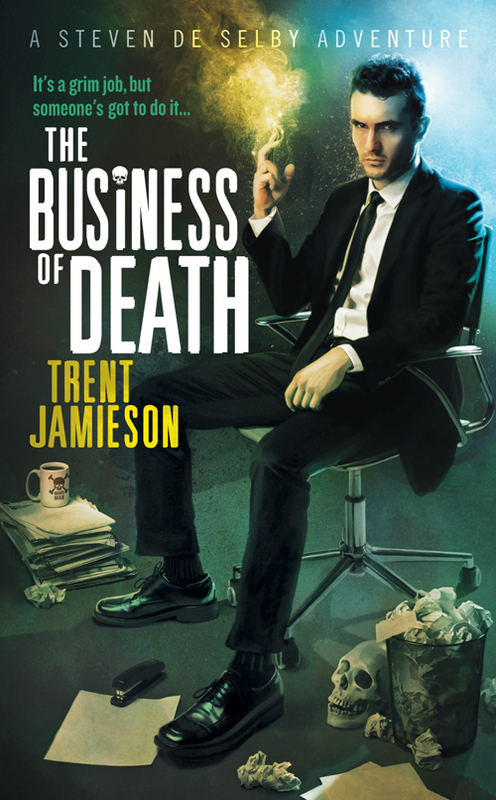 Check out all the great Australian Genre Fiction. a 50% OFF BOOK SALE! Wouldn’t a nice cup of tea be better? This week’s star customers were the three teenagers I caught drawing with red pen on the poster cases. I was “somewhat peeved”. Does being nice to people when they first arrive count for nothing?!! I was confounded by this. “Um Fair enough!” I muttered. But the grin sent a bright red bullet of fury into my brain. As she turned to go, I called out “Hey” and as she turned back to face me, I lifted up my mobile and clicked it at her. But honestly. Since when has graffiting been a cure for stress. What happened to a good book, a nice cup of tea or a lie down?!!!! Station Stories – where we ask all the hard existential questions. Prolific French-Australian author Sophie Masson has charmed both children and adults with her richly beautiful fantasy stories. Her most recent book is Trinty Book 2 – The False Prince. Tell us about your Trinity series. 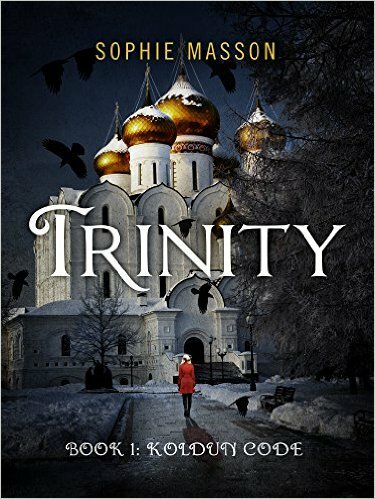 The Trinity series is a duology which is set in modern Russia, against a background of hard-nosed corporate skulduggery, dark historical echoes and supernatural and magical elements that thread themselves in and out of the story. It’s a fairly unique series, I think, in that what I’m attempting to do is paint a kind of metaphorical portrait of the extraordinary nature of Russia and its culture while telling a gripping, genre-bending story with vivid characters and unexpected elements. Trinity–Book 1, The Koldun Code; and Book 2, The False Prince, are centred around the viewpoints of main characters Helen Clement, a young Londoner who by background is part French-part-American; Maxim Serebrov, an experienced, disillusioned Moscow homicide detective, and in the second book, another couple of characters who are very ambiguous but very interesting too(don’t want to say exactly who they are for fear of spoilers!). What initially inspired you to write the Trinity books? I;m working on a novel called The Ghost Squad, a speculative fiction YA novel. It’s part of my PHD work–I’m currently enrolled as a PHD student in Creative Practice at the University of New England, and part of the project is writing that novel, plus an associated exegesis which is looking at YA speculative fiction with the theme of the afterlife! It’s really fantastic and I’m much enjoying both the reading and the writing. As well, I have several picture-book texts I’m working on(two have already been accepted) as well as a book of light fantasy short stories for younger readers. 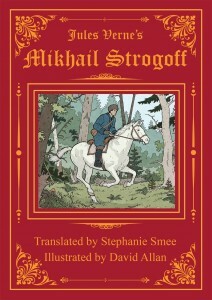 You’re also very involved in Eagle Books translation of Jules Verne’s Mikhail Strogoff which is due out in April 2016. How did that happen? Will Eagle bring out more Jules Verne translations? I’m one of the co-directors and founding partners of Eagle Books, which is a new imprint of small publisher Christmas Press, which we founded in 2013. Eagle Books will specialise in wonderful adventure novels for readers 11 and up, that can also be pleasurably read by adults. 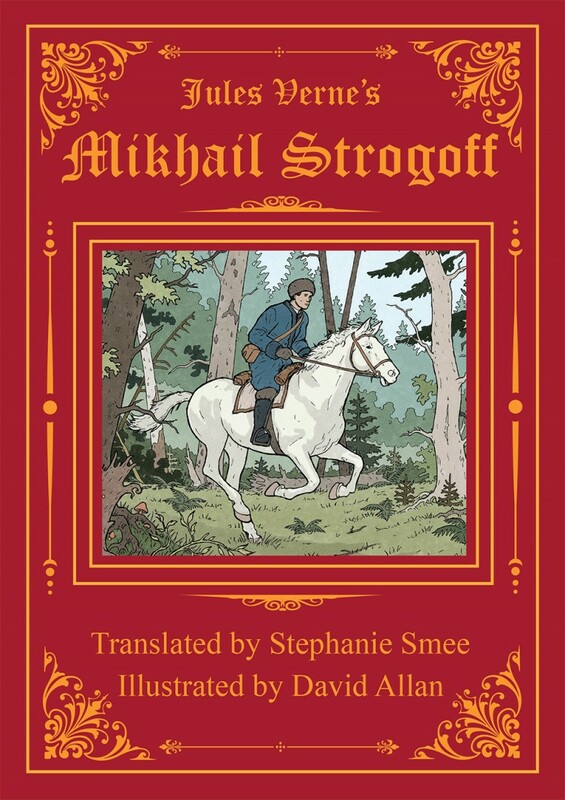 Our launch title is the wonderful limited edition of Jules Verne’s Mikhail Strogoff, in a fantastic new translation by Stephanie Smee, and illustrated by David Allan. That book is very important to me–in its original French(titled Michel Strogoff), I read it at age 11, and it was the book that made me fall in love with Russia and that has really marked me both as a writer and reader. But the English translations of it(from 19th century) were stodgy and dated and did not fairly represent the original book. Stephanie is a friend–I had first met her when she translated some fantastic classic French children’s fiction by the Countess de Segur, bestselling translations published by Simon and Schuster–and it was just so wonderful that she agreed that Eagle Books should publish her wonderful translation of my favourite childhood book! It really is a dream come true. I edited the book as well as writing the foreword–a real privilege to be helping to bring back to English speaking readers a book that in France is considered to be Verne’s masterpiece and very influential there. We might bring out more Verne translations–we’ll see! There are many that he wrote that are not well known in English speaking countries–but Mikhail Strogoff, which some critics have called the ‘best adventure novel ever written’, is clearly the most exciting! Many of your books are have background in folk and fairy tale. What do you like about using fairy tales as a source material? Fairy tales are wonderful because they are both so deep and so wide–so capacious of meaning but also light on detail so that you really have a wonderful framework to work on from the start. They have a great richness about them and yet a great simolicity which I find very appealing. You write for both adults and children. Which group do your prefer writing for? I like writing for both–depends on the story! 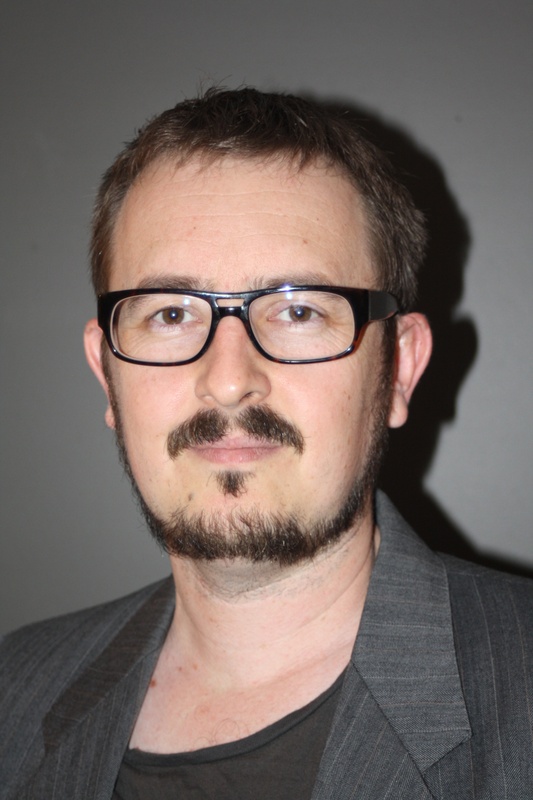 That said, I feel freer in a sense when I write for children and young adults–there are not so many categories and restrictions in terms of genre–nobody minds if you blend them, whereas in adult fiction, it seems sometimes that people don’t like it if you do that! I write at least a chapter or two a day–go over the previous day’s work before I start the next–so that the book is built up in such a way that I’ve already revised by the time I get to the end of the first draft. I do write most days, and I always write more than I need and am happy to cut, then. I’m not a planner as such but I do know where I want my story to end up, and I do know the first few chapters pretty well before I start. And because of the way I work, I do a kind of reverse planning process which means that things slot in very nicely as I’m going. My main social media activity is with my blog, www.firebirdfeathers.com where I don’t just post about my own work but in fact mostly do lots of interviews and feature guest posts. It’s got quite a few readers, which is great! I also use Facebook a lot and Twitter is linked to that and that seems to work well. Tips? Well, I think, with a blog, it’s a good idea to have a variety of things you post about, don’t make it wholly focussed on your own work(for your own sake as well as readers!) And with FB/Twitter etc, my experience suggests it’s best to link FB to Twitter rather than the other way around.